It was good! Would’ve been better for breakfast, though. I would have loved it had it not been the raisins. Oh you tempter! 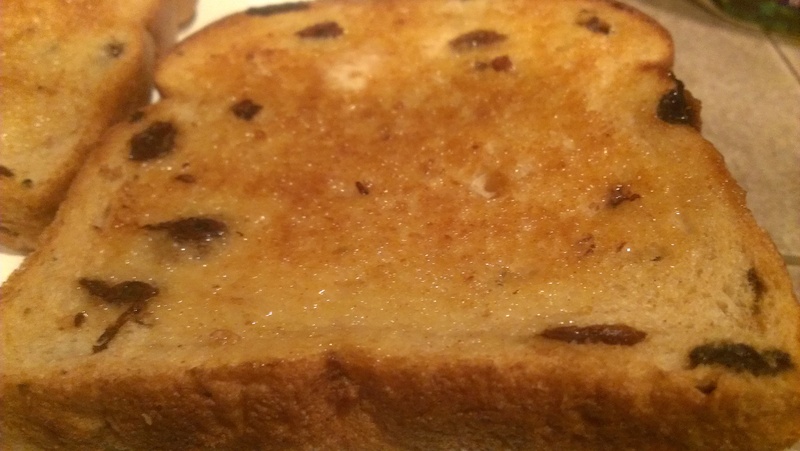 Bread is my nemesis and raisin bread is at the top of the list. I’m drooling over the picture. I’ll take mine with light butter and a dusting of cinnamon sugar please! Mmm…I didn’t even think of using cinnamon sugar! I had to buy cinnamon-raisin bagels today just because of this! Mmm. Sounds amazing. Hope you enjoyed them!